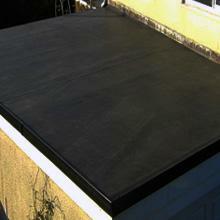 BNL Home Improvements provides roof repair and re roofing services. BNL Home Improvements knows how hard it can be to navigate filing an insurance claim. We will assist you and even provide direct links to top insurance companies. BNL Home Improvements knows what new siding can do for your home. Changing your siding can add real curb appeal to you home. Review Styles, Colors and Warranty options from several top quality siding brands. BNL Home Improvements provides metal roofing systems for your home or business. Standing seam roofing from Atas attaches over existing structures and gives your roof long-term protection. We cover all aspects including: Windows, Doors, Sidings, Roofing, Decks & Railings. We also Specialize in Kitchen, Bath, and Basement Remodeling. Give us a call for a no pressure, consultation to discuss your home improvement ideas. Built by Brian Winkler, BNL has become one of Hunterdon County's most trusted Contractors. BNL is operated on the staples of Knowledge, Trust, and Reliablity. Combine this with the best materials available in the industry, and great craftsmanship. We look foward to serving all you home improvement needs. Brian has been working in residential home improvements since the mid 80s and has seen the evolution of building materials in many facets since. Brian has developed lasting relationships with many, Suppliers, Specialty Trade Contractor, Inspectors, and most importantly Customers, thru the years.